Do your feet ever ache after a long day at work, wearing ill-fitting shoes, a hard workout, long walk, or run? 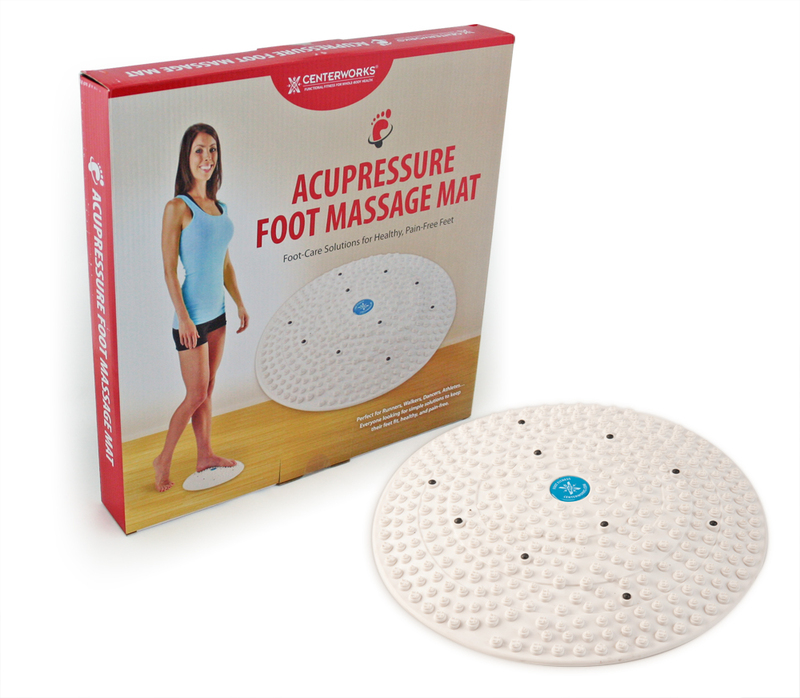 By using the Centerworks® Acupressure Foot Massage Mat you can quickly help improve the health and fitness of your feet. By walking or “marching” on your Foot Massage Mat for a quick 2-minute (or less) workout, you can stimulate the foot reflexology points on the soles of your feet to begin releasing stress and tension and start increasing energy and vitality. Quick and easy-to-use, portable, feels GREAT on your feet! Keep it in the bathroom, by the kitchen sink, in front of the TV, or next to your bed… Use it first thing in the morning, before or after a workout, or right before bed. Anytime your feet need a treat and a little extra TLC. Discover how much better your WHOLE body will feel after using your Acupressure Foot Massage Mat!